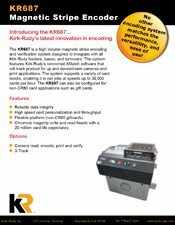 The KR687 is a high volume magnetic stripe encoding and verification system designed to integrate with all Kirk-Rudy feeders, bases, and turnovers. The system features Kirk-Rudy’s renowned XMatch software that will track product for up and downstream cameras and print applications. The system supports a variety of card stocks, enabling it to run jobs at speeds up to 30,000 cards per hour. 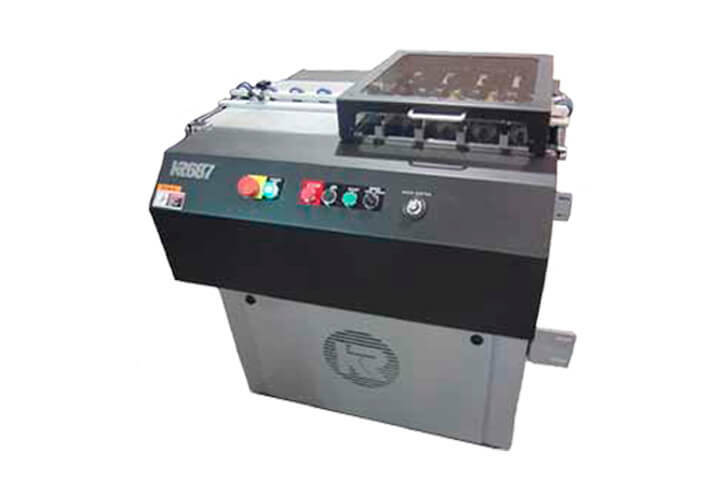 The KR687 can also be configured for non-CR80 card applications such as gift cards.